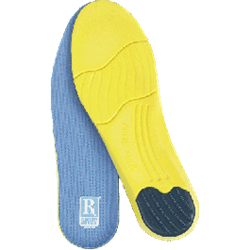 RxSorbo is a leading manufacturer of shoe insoles. The company has published an instructive how-to guide on selecting the best insoles for a variety of shoes and associated activities. Selecting the best insoles would ideally be an easy task, accomplished in a few minutes by most people, based on a few simple facts about their activity level and a few specifics about their own feet. RxSorbo, a leading online retailer of top-rated shoe insoles, is pleased to announce the availability of an informative how-to blog post on selecting best insoles for various styles of activity, types of shoes, and all kinds of feet. To read the informative blog post, part of on-going ‘how-to’ series, please visit http://www.rxsorbo.com/blog/select-best-shoe-insoles-quick-guide/. To browse available insoles for walking, one can visit the following URL: http://www.rxsorbo.com/insoles/walking/. There, one can browse the company’s classic heel pads, classic insoles, and the all whole line of walking sole insoles.